I can see how this guy will be huge in the future. The guy is born 89 and have shown great potential in the two fims he have made. The trailer makes me think of a French "Garden State". I don't necessarily consider that a bad thing. Young director Xavier Dolan continually provokes a divisive stance with his lush, personal films, but even his detractors must admit he knows how to stay insanely prolific. With his third directorial effort, “Laurence Anyways” readying for its Cannes Film Festival premiere next week, Dolan seeks to maintain that reputation with news of his follow-up film already in the pipeline. Dolan has announced plans to adapt Michel Marc Bouchard's play, “Tom à la Ferme,” which marks the second film adaptation for Bouchard, following 1996's “Lilies” (helmed by John Greyson), and the first for Dolan. 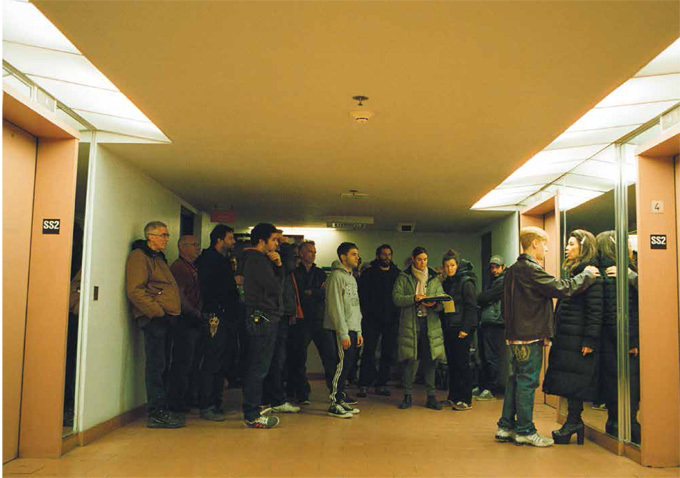 The director fell in love with the play after he attended a Montreal staging last year, and approached the internationally renowned Bouchard about who would be directing the film version. When Bouchard said he had no idea, Dolan kindly notified him that he'd be doing it then, actually. Cheeky. Evidently his forthrightness paid off though, because the two have been collaborating on the script ever since. The story of Bouchard's play follows a man, Tom, who is in the grip of grief and depression following the death of his lover. When he meets the family of the deceased, it is revealed the mother was not aware of her son's sexual orientation, or his relationship with Tom either, for that matter. As Tom struggles over whether to keep the truth hidden or reveal all, he is threatened by the brother in the family with grave repercussions if the truth is not concealed forever. Kino Lorber has stepped up and acquired the rights to "I Killed My Mother," Dolan's first film which he made at the age of twenty with some credit cards and savings from when he was a child actor. Though already released in Canada years ago, the film has been caught up in a long rights battle -- which he explains here -- after it was acquired by a dodgy U.S. distributor, but Indiewire reports the film is now in the hands of reputable world cinema veterans Kino Lorber. But let's get to the film. Dolan stars, writes and directs the picture, which chronicles the fractious relationship between a young teenager and his mother, all while he deals with coming-of-age as a gay youth. The directorial flourishes and tricks Dolan has shown in "Heartbeats"and his latest (and epic) "Laurence Anyways" (which still needs a stateside distributor) are on display here, but somewhat more restrained. Either way, it's a pretty great film and fans of Dolan's work will certainly be pleased. No exact release date yet, but "I Killed My Mother" will get a theatrical run this fall before going to VOD and home video. To get a taste, here's the trailer for the film and yes, it's with subtitles. While we continue to remain truly puzzled as to why Xavier Dolan's gorgeous, sprawling and lovely "Laurence Anyways" is continously unable to secure a U.S. distribution deal, the young filmmaker left Toronto with a prize under his arm. 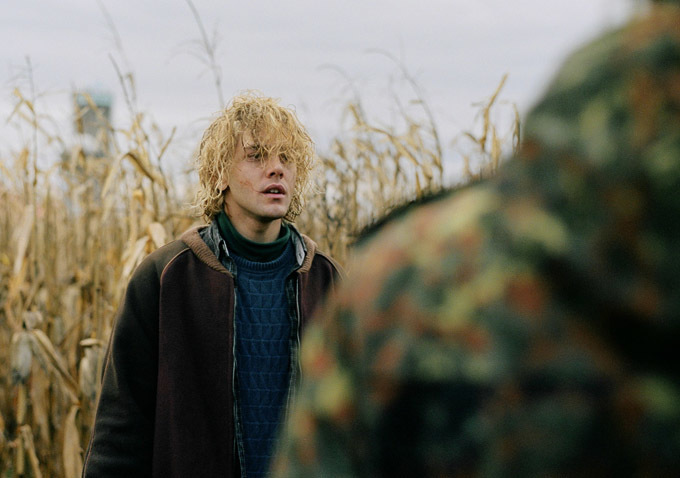 His latest film took home the Best Canadian Feature Film from TIFF, and as usual, Dolan is plowing ahead on his next project. This spring it was announced he would tackling the adaptation of the play "Tom a la Ferme," but after that he's got some big plans. Very big plans. Confirming he will star in 'Ferme,' Dolan lays out what his calendar will look like for the next few years to The Globe And Mail. "In my next film, yes. It’s a psychological thriller set on a farm in Quebec, with a consenting hostage. I’m the hostage," he said. "I’m also working on a series of six [shorter] films, a hexalogue, called 'Ordinary People,' in which I will act. That will be done by 2013, and by 2015 I should be ready to tackle the American beast." While the last sentence might be a bit unclear, from what we understand it's 'Ferme' that will be done by next year, while "Oridinary People" will follow a couple of years later. From the grapevine we've heard that the movie is still at script stage, but it's typically ambitoius fare from Dolan. And no, it's not a remake of Robert Redford's 1980 drama (though, that would be interesting too). And just as a reminder, 'Ferme' tells the story of Tom, who is in the grip of grief and depression following the death of his lover. When he meets the family of the deceased, it is revealed the mother was not aware of her son's sexual orientation, or his relationship with Tom either, for that matter. As Tom struggles over whether to keep the truth hidden or reveal all, he is threatened by the brother in the family with grave repercussions if the truth is not concealed forever. So lots on the horizon from Dolan, who shows no signs of slowing down. This interview goes interesting places. A music video he directed for "College Boy" by Indochine. NSFW? We're coming out of the fog, storm and noise of the summer movie season, heading into the the promising months of fall festivals, and it's a good time to be a cinephile. With TIFF unveiling their first wave of titles earlier this week, Venice followed suit this morning giving folks headed to the Lido plenty to get excited about. As always, we'll start getting a peek at those films very soon. Xavier Dolan’s forth film is based on the eponymous play by Michel-Marc Bouchard. No release dates yet for this one, though distribution is already lined up for the picture in Canada (obvs). First image above and poster below. Clip from Tom at the Farm. 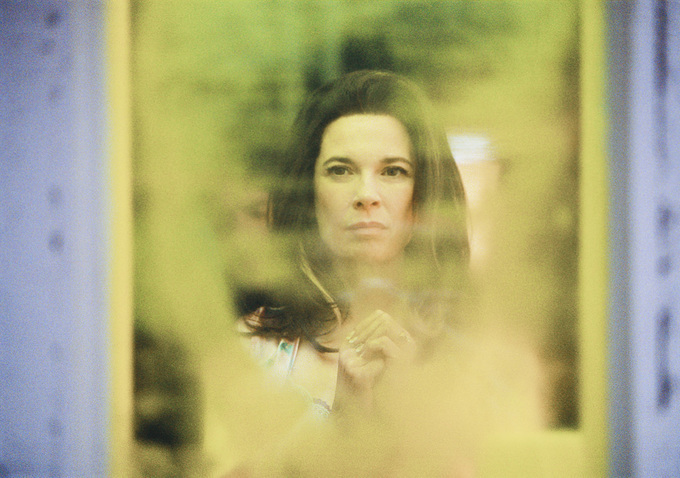 The director has reteamed with Anne Dorval ("I Killed My Mother," "Heartbeats," "Laurence Anyways") and Suzanne Clément ("I Killed My Mother," "Larence Anyways") along with Antoine-Olivier Pilon for "Mommy." Plot details are a bit thin, but for now we know that it will tell the story of a mother who takes custody of a child with a dark past. Dolan explored a contentious mother/child relationship in his debut, so it'll be interesting to see what more he has to say about that bond with this one. "We had envisioned – like any filmmaker who dreams of going to Cannes – of being in competition and winning the Palme d’Or,” Xavier Dolan had said in 2012, when his third film "Laurence Anyways" (and third on the Croisette) landed a slot in the Un Certain Regard section, not in coveted Competition lineup. 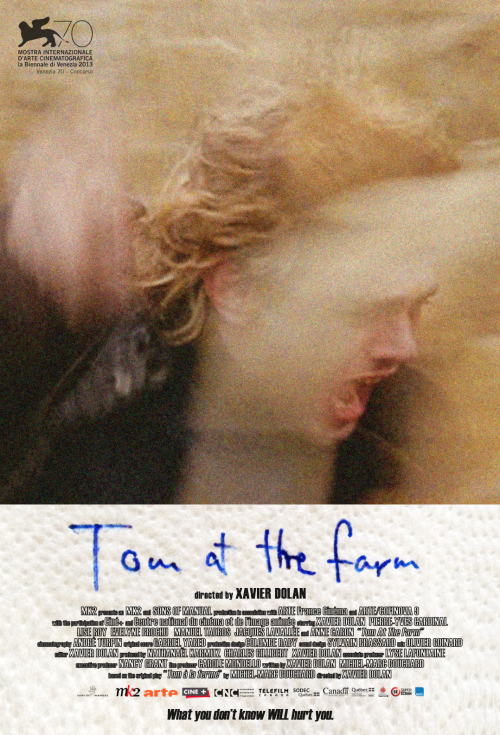 He then took his next film, "Tom At The Farm," to the Venice Film Festival, skipping Cannes entirely. But could 2014 finally see the young filmmaker land in Competition at Cannes. A widowed single mother, raising her violent son alone, finds new hope when a mysterious neighbour, a woman, inserts herself into the mother and son's household, providing the mother with needed support. eOne has the distribution rights to Canada but no word yet on a release date. The perfect square in which it consists framed faces with such simplicity, and seemed like the ideal structure for “portrait” shots. No distraction, no affectations are possible in such constricted space. The character is our main subject, inescapably at the center of our attention. Our eyes cannot miss him, her. 1:1 is, besides, the ratio of album covers in the CD industry, and of all of these jackets that have imprinted our imaginaries over time. The Die & Steve Mix 4ever being a leitmotif for us, the use of 1:1 found an additional echo.